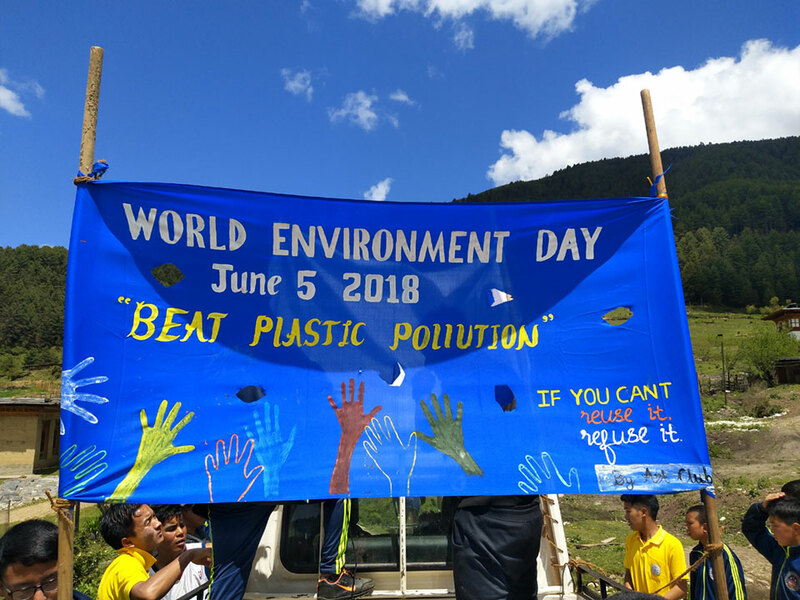 Joining the global community in celebrating World Environment Day on 5th June, 2018, the Royal Society for Protection of Nature (RSPN) in partnership with Phobjikha Central School initiated mass cleaning of Phobjikha Valley. 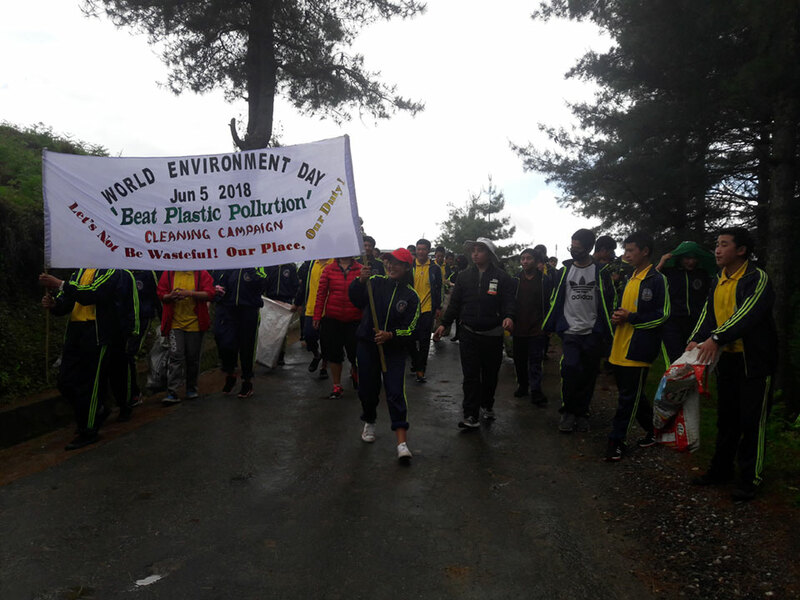 The main objective of the event is to raise awareness on environmental conservation and to foster positive environmental action amongst the general public for protecting ecosystem of the valley. One-day World Environment Day event consisted of two parts: a ceremony and campaigns. The ceremony commenced with singing national anthem by the participants such as students, teachers and other volunteers followed by giving an address of welcome by a Nature Club coordinator of Phobjikha Central School. A Grade 10 student, Miss Radika gave a momentous talk on the significance of the day and importance of keeping our locality clean and green. 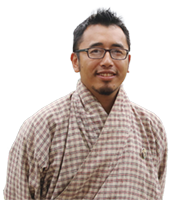 Mr. Pradhan from Amankora, a high-end resort in Phobjikha highlighted the importance of conserving ecosystems, especially the wetland of the valley. The formal session of the day concluded with the awarding of the certificate and cash prizes for the winner of the art competition held prior to the event day. 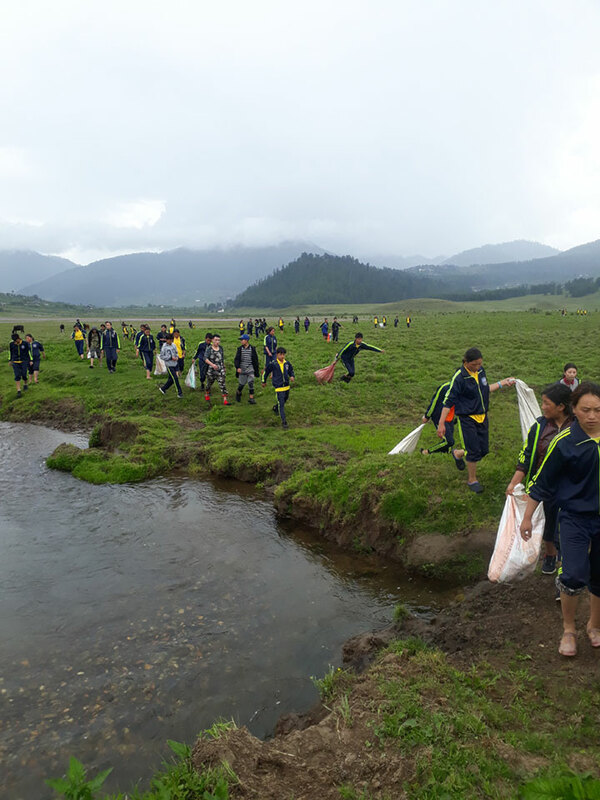 About 600 students, 50 teaching and non-teaching staffs of Phobjikha Central School, 30 staff from Amankora resort and few locals participated the campaign after the ceremony. During the campaign, we have collected around 5 truckloads of garbage mostly comprising of plastic waste and rags were disposed to the landfill constructed by RSPN in 2011. The World Environment Day 2018 was successfully ended with full of enthusiasm and commitment from all the participants. We have travelled to Phobjikha several times and finally we completed footages for a video documentary during our last visit on 7th of May, 2018. Also, we were able to develop the script for the video documentary. We are currently in the process of reviewing the content of the documentary. We have also translated the “field guide book on crane behavior” published by International Crane foundation (ICF) into our National language. The guide book will be printed as soon as we receive the approval from Birdlife International. Procurement of water testing probes are not available in the market, therefore we are currently exploring with the potential supplier. The further activity will be postponed to the next 3 months. The poster to identify Black-necked Crane of adult and juvenile, and three pictorial leaflets such as wetland and its functions, people, culture and the Cranes, and Folklore have been developed. Illustrations and designing of the leaflets on wetlands has already been outsourced. Exhibits for the Black-necked Crane Visitor Centre will be discussed with a Center Manager upon our next visit to Phobjikha in August 2018. The poster to identify Black-necked Crane of adult and a juvenile, and the pictorial leaflets will be reviewed and printed in September, 2018. The video documentary will be reviewed for final comments and approval from the RSPN management team in August, 2018. As such there was no major challenges faced till date. However, we have a national election in 2018, which limits our activities such as community mobilization and meeting. Nonetheless, we will try to focus on those activities which does not require community engagement.